Description: This poster is covered with eye-catching blue flower image with light blue background. 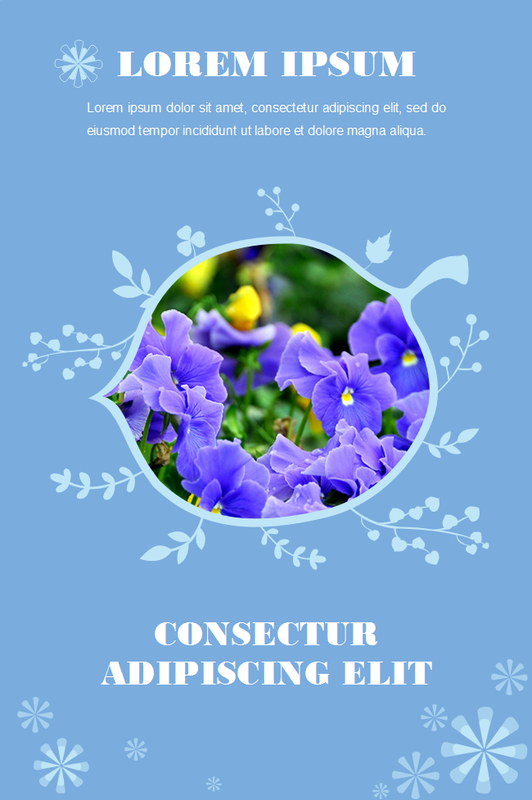 Create blue flower background poster with free templates from Edraw. Get started quickly by applying this template in a minute, no drawing skills required. Get awesome poster designs from this poster templates sharing community. All poster templates are in vector format allowing users to re-design and customize. Explore whatever fits you best and download immediately.